I talked about how I'm giving up snacking, junk food, and sweets for Lent, but that doesn't mean I don't have a few favorite healthy snacks in my repertoire. 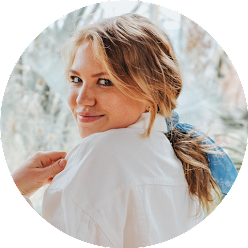 I am typically a pretty big snacker, so having healthy snacks that are easy to grab and take on the go is important to me. In my AP Human Geography class we have focused so much on our food and the processes that food nowadays goes through, so I have a huge disgust for foods loaded with added sugar and artificial ingredients. 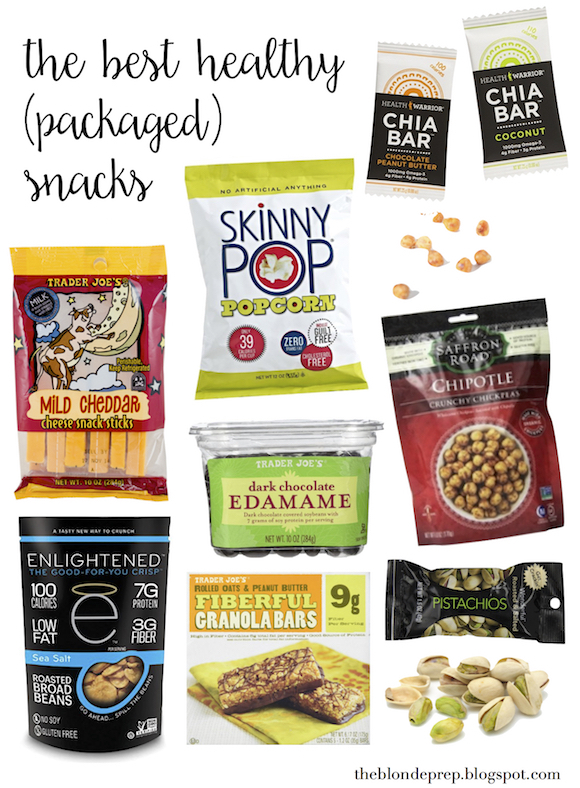 These snacks below are some of my favorites, and they're all packed with protein and fiber, with very little sugar! Of course, they're all made of natural ingredients too, making them a nutrient-dense, clean snack to add to your pantry. Chia Bars // I had a really weird obsession with these last year, but rightfully so, because these bars are so good. I love chia seeds, but some people who aren't used to the texture (a little slimy, tbh) might not be the biggest fan. These 100 calorie bars only have a few grams of sugar for how sweet they are, which is so ideal for someone like me who's tempted to go at the whole box! The peanut butter chocolate and coconut are my favorite flavors, and they always hit the spot if I'm craving something sweet for a snack. Plus, chia seeds have a million health benefits, so these are really a clean, power food option! Fiberful Granola Bars // I love granola bars. Who doesn't?! But sometimes I feel like if I eat one I've pretty much just devoured unnecessary calories and a lot of added sugar and I still won't be content. Of course, since this bar is packed with 9 grams of fiber, you're satisfied after just 120 calories. These are pretty low in sugar too (6 grams), and they offer a good amount of protein. I love both flavors, chocolate and peanut butter and chocolate, chocolate chip. Dark Chocolate Edamame // I absolutely love edamame, and soybeans really are an incredibly healthy food considering they're loaded with fiber and protein. Of course, I love chocolate too, so I love that you can enjoy a chocolatey treat when your craving something sweet, without sacrificing protein and fiber for pure sugar! One serving (about 1/4 cup) is 200 calories and has 13 grams of sugar, but the 5 grams of fiber and 7 grams of protein makes up for it. Cheese Sticks // I'm a huge cheese person, but I'm not a fan of how much fat can be packed into a tiny serving. I like to buy the light mild cheddar cheese sticks from Trader Joe's because they only have 3.5 grams of fat in one 70 calorie stick (and 7 grams of protein). Skinny Pop // Skinny pop is definitely an essential in my house! Popcorn is such a healthy snack option because when you want something to mindlessly munch on, there really is nothing better than a low-calorie, yet healthy option that will fill you up (hello, popcorn is a good source of fiber!). Skinny Pop also comes in 100 calorie packs that are ideal for tossing in your lunch to grab during morning classes or as a little extra something if you're still hungry after lunch. Chipotle Chickpeas // Okay. I can not tell you all how much you need to try roasted chickpeas if you haven't already. I am obsessed! One serving of these chipotle chickpeas is only 120 calories, and has 5 grams of fiber and 6 grams of protein. That's pretty good! I have been on a chipotle kick lately and so these crunchy chickpeas always hit the spot for me, but there are more flavors too that I'd love to try... like this Cinnamon Crunch option from another brand. Roasted Broad Beans // To be completely honest, this is the one product on here that I haven't tried yet! My friend saw me writing this post and insisted I add them to the list (she claims they're delicious! ), and now I am super eager to try them! 0 sugar, lots of protein and fiber, and only 100 calories per serving for a salty, crunchy snack is right up my ally. She loves the sea salt flavor, but I think the barbecue sounds delicious too. Pistachios // Ah, a classic. The thing I personally like about pistachios is that it'll take a while to shell all of the nuts, which forces you to eat slower so you're full and satisfied by the time you finish your serving. What are your favorite grab and go healthy snacks? This was such a helpful post! I'm the worst at eating healthy, so I'll definitely keep these snacks in mind! I love pistachios and will need to look into finding those chia bars! The cinnamon chickpeas are super good! Also try the chipotle spice lime from the same brand, The Good Bean. Another snack you should try are larabars! They come in a ton of delicious flavors and are made of great, simple ingredients! Love health warriors chia bars! Just found your post from Bess's at Evergreen and Ivy! Love this! !